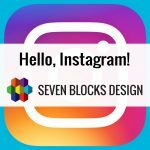 Hi, It’s Diana Hobstetter from Seven Blocks Design! 2015 has seen a bounty of projects and I continue to feel blessed by wonderful clients and projects. 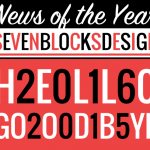 Thanks goes out to the Seven Blocks Design team for their expertise as well as good vibes. I highly recommend checking out the full newsletter with lots of lovely pictures at: http://eepurl.com/bK8w6z. But if you want the text summary, read on below. Timm Freeman provided additional client management, art direction, branding, and print expertise. Otoño Lujàn provided analytics, Search Engine Optimization (SEO), and Adwords management. Richard Grossman provided additional project management, e-commerce, and social network expertise. Julie Miller provided administrative and production support. Marc Plainguet provided video editing expertise. The following projects were completed this year. All websites utilize Responsive Web Design ensuring an optimal experience on all devices, from desktop to tablet to mobile phones. More information about these projects and others can be found at www.SevenBlocksDesign.com/Portfolio. The new site for the sandwich restaurant, Quicksand, is rich with images and brand personality, and invites viewers to order online, place group orders, download their app, see the week’s specials, and sign up for club membership to receive special deals. Seven Blocks Design developed a major rebranding for Lenchner Glass company, including a new logo, business cards, brochure, and website, as well as a temporary landing page for an event. Timm Freeman led the branding and print work. Diana Hobstetter led the website design/build. A private community site was produced. There were about a dozen different sections with blogs, events, e-commerce and closed social network. Richard Grossman developed the e-commerce and social network. Seven Blocks Design built a new WordPress website for Diamond Crane Company to showcase the company’s services. The site was updated from a dated Yahoo! business page site. Timm Freeman led client and asset management. Seven Blocks Design built a new WordPress website for California Windmills, a sister company to Diamond Crane Company, which was also updated from a dated Yahoo! business page site. The websites for the sister companies were built to have structural and stylistic similarities, while still having separate identities. Although the company had been in business for a number of years, their previous website and print collateral did not have a logo or clear branding, so Seven Blocks Design created a brand and logo for California Windmills. Seven Blocks Design rebranded the client with a new logo, business cards, and portfolio website for the production designer to showcase her work with a portfolio of videos and stills and featuring a still-motion full-screen video on the homepage. Diana Hobstetter provided branding and web design/build. Timm Freeman provided print support. Marc Plainguet provided video support. 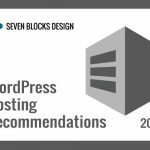 Seven Blocks Design designed and developed a WordPress one-page website for the new non-profit organization, Just Drive Safe, giving an introduction to the goals, team, and motivational story of the organization. Visual aspects utilized parallax scrolling to create a dynamic experience. Donation, contact and blog capabilities are part of the site. Timm Freeman led client relations and asset management. 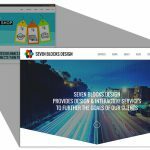 Seven Blocks Design restructured, redesigned, and built a new WordPress website for this long-term residential drug and alcohol rehab with a unique multi-faceted program. Seven Blocks Design did a major site overhaul addressing numerous issues to make the site easier to navigate and find information such as simplifying the site structure and site navigation, reducing the number of pages to have to click through to get key information, and creating blocks of content with bold topic headings to aid the reader’s attention. Analysis information aided the site structure changes and was used to maintain search engine ranking despite an extensive restructuring. Otono Lujan provided analytics, SEO, and Adwords. Timm Freeman provided brand refinement. With Pulp Art Surfaces, their staff built the site and then had Seven Blocks Design refine design elements such as varied yet consistent headers, organizing content within accordions and tabs, adding an Instagram feed, and more. Seven Blocks Design redesigned/rebuilt Surf Academy’s site in 2013, and in 2015 it was time for a few upgrades. A new booking system by Fare Harbor was integrated into the site, a backend page builder was added to the theme, and there was some restructuring to better define the difference between lessons and teams. Seven Blocks Design designed and developed a SchoolPress website for the private school’s annual report, showcasing school programs that contributions supported, messages from school representatives, financial breakdowns, and donor names in 12 categories. The design directive was to create a look influenced by the children’s book “It’s Not A Box” while maintaining the school’s brand guidelines. The SchoolPress platform, a restricted WordPress environment within a school management system, meant working in a more restricted way than usual, where adding themes and plugins or modifying files were not options, and all modifications were made with CSS coding. Seven Blocks Design designed and developed a WordPress website for the therapist’s private practice. The site conveys information about what kinds of services and methods she uses and what her background and training are, while giving a sense of her personality and style. Seven Blocks Design built a new WordPress website for Robertson Geotechnical to showcase the company’s services. The site was updated from an outdated site that was not mobile-friendly. Copyright © 2015 Seven Blocks Design, All rights reserved.